Is the political leadership of western Odisha responsible for its underdevelopment? Entry filed under: Athmallik, Balangir, Bargarh, Boudh, Deogarh, Jharsuguda, Kalahandi, Nuapada, Region watch, Sambalpur, Subarnapur, Sundergarh. 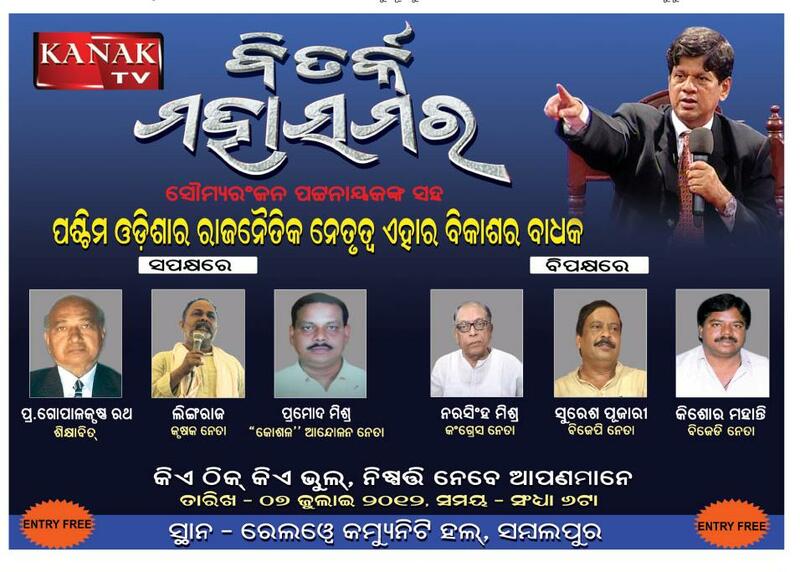 Hope the debate will be a NICE one since Pramod is a fiery orator, interestingly on his opposite will be Shri Narasing Mishra who initially groomed Pramod’s leadership quality during our College days. There was a need for this type of public debate – at least the media and people will get to know many things. It is quite evident that Soumya Pattnaik is all set to have a strong hold of the vast untapped Western Orissa media market. However, it ought to be an interesting one if ‘Pramod Mishra’ is still PRAMOD MISHRA.